We hope you all had a lovely Easter Holiday and didn’t eat too much chocolate! Our first topic this term focuses on the beach followed by a topic which is all about ourselves. We will be having a visit to the beach on 2nd May to start our topic and give first hand experiences. Hopefully, the weather be settled and sunny. We are also hoping to have a visit from the ambulance service but this will depend on availability and call outs. In our Splash topic we will be using books by Julia Donaldson such as “Sharing a Shell” and “The Snail and the Whale”. 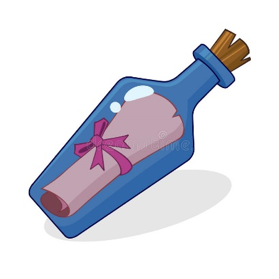 We will also have some fun with a day in the life of a pirate, messages in bottles and postcard writing. 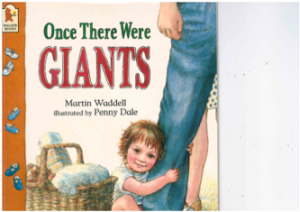 For ‘Ourselves’ we will be starting with the story “Once there were Giants”. This is a simple little story about the circle of life from a baby to adulthood and back to a baby again. We will also be looking about labelling, captions and Instruction writing. In maths we continue to build on place value using Dienes and Numicom and develop our use of the 4 operations through our topics. 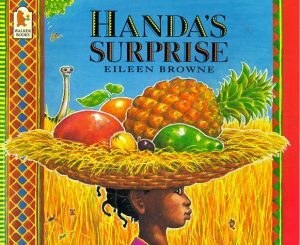 We will use our maths skills to measure handspans and footsteps, to complete research into our favourite foods and draw charts and graphs from this. We will also learn some map skills with simple grid references, spend money in our class souvenir shop and have some fun with seaside Sudoku. In science we will be looking at Life in rock pools and in the open sea, materials found on the beach, pollution and degradation – a very topical subject. For our following area we have ourselves to study! How have I grown, What do I eat, What does my body do, Exercise and food types along with the senses are just a few of the things we will be looking at. One of the other areas we will be focussing on is Relationships and Diversity. Topic based work continues through our non-core subjects. During the Splash topic we will learn about Seaside holidays past and present, souvenirs, swimwear, transport and the locations of these holidays. We will also learn about sea defences and how these have affected local places such as Dawlish. In art and DT we will make Sandmen when we go to the beach, collect driftwood for beach sculptures and make a picnic to take with us. Through the Ourselves topic we will learn about where we live in the world, hospitals past and present and the life of Florence Nightingale. We will also be looking at the amazing portraits by Picasso and attempting to recreate these. The expectation continues to be that all children read at home every day. Little and often is the key to excellent progress in reading. We have some lovely new reading books which we have added to the reading scheme this term which we hope will help to give your children a desire to read. Please can you encourage them to look after the books as they do cost a lot of money. Home learning will be given on a Friday and will be expected in on the following Thursday. If you need any support with this please let me know. Our phonics in school will continue to help support the children’s spelling and make them more confident when trying out new words but we ask that you also help them with the common exception words which were sent home at the beginning of the school year. Tuesday and Thursday afternoon will, as usual, be our PE sessions and children require shorts, school PE t’shirt and trainers for this. We will be swimming on Monday afternoons after May half term so please could you ensure that your child has their kit with them for this session. Children will also have daily physical activities but do not need PE kits for this. It is essential that children are ready to come in to school for the register at 8.50am prompt. There will be an activity on the whiteboard for all children to start when they arrive. This means the class is quiet and children are ready to work straight away. Full school uniform must be worn at all times, including black shoes. Long hair must be tied back. Children will be offered fresh fruit at break time but can bring their own healthy snack if they prefer. We are very lucky to have Sarah Stroud working with us now. She will be running the Talk Boost and Elephant maths sessions along with Read Write Ink to support the children’s learning. Remember, if you need to contact me at any time please drop in and see me at the end of the school day, make an appointment with Alison Skinner or send me an email at t.vickery@clawton-sch.org. Here’s to an enjoyable, hopefully sunny Summer term! Spring 2019 - Welcome back everyone! We hope you have all had a lovely Christmas holiday and wish you a very happy new year. 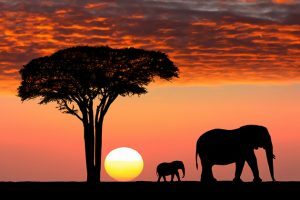 This term starts with the whole school topic …..
Our topic this term is AFRICA! We have an amazing starter to the topic with an African dance workshop to give us a true taste of African music and dance. We will also be focusing on the diversity of this exciting continent through all of our other subjects this year. children in different parts of Africa and comparing this to the UK and writing information texts and fact files about African Animals. We are also hoping to correspond with a school in Uganda. In Maths we will be building on previous learning, continuing with place value and the 4 operations but using these within the context of Africa. 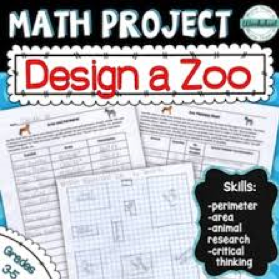 We will use all of our maths skills to design a zoo, thinking about space required for each animal, the cost of building pens, the weight of food needed, the volume of water that is drunk and how many species the zoo can accommodate. This will be a really fun way to use maths in context. 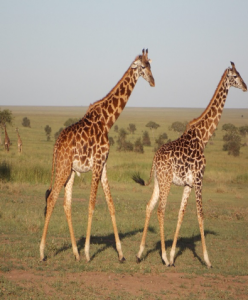 In science we will look at the animals found in Africa and their habitats, also the plants and how they are adapted to grow in a hot climate. We will also learn about food chains and how animals are adapted to hide from predators. 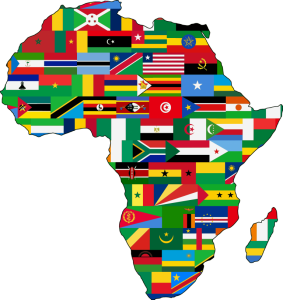 We will also be exploring Africa in our non-core subjects creating African art and sculptures, cooking African food, looking at the physical and human geography of Africa and the religions of Africa. 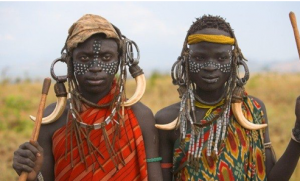 In addition we will learn about poverty in Africa and the need for fresh clean water and the Masai tribe. The expectation continues to be that all children read at home every day and a note about this will be added to your child’s Home School Diary. Little and often really is the key to excellent progress in reading. Reading is so important as it is required to access all subjects across the curriculum. Home learning will be given on a Friday and due Thursday of the following week.The most effective way for children to learn their phonics and spellings is a little practice every day - even for just a few minutes. If there are any issues with this please let me know. Our Phonics lessons in school will continue to help to support the children’s spelling and make them feel more confident when trying to spell new words but we would ask that you also work through the phonics packs sent home to reinforce the sounds they learn in school. PE will be on Tuesday and Thursday afternoons, so please ensure that your child has their kit in school. There will also be additional short daily exercise sessions so please ensure that your child has appropriate footwear in school every day for these. 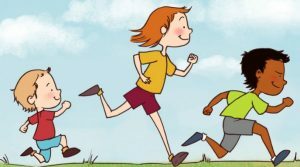 PE kits should include: well-fitting trainers, black shorts, black tracksuit trousers, a Clawton Primary School PE t-shirt and a clean pair of socks. It is essential that children are ready to come to the carpet for the register at 8.50am prompt for a smooth start to the school day. Full school uniform must be worn at all times, including black shoes. Long hair must be tied back and no hair products please. Children will be offered fresh fruit at break time but can bring in an alternative healthy snack. Please also ensure that your child has a school water bottle in school every day. I’d also like to remind you to ensure that your child has a warm waterproof coat every day as the weather continues to be very changeable! We are very lucky to have Rosemary Jones as the class’s teaching assistant this year as the children moving up from Foundation Year are already familiar with her and this will help them to settle more quickly. 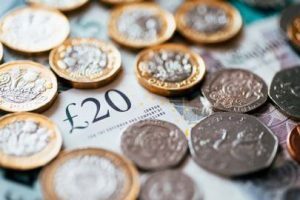 She will be running Talk Boost, Phonics and reading interventions to support the children’s communication and language skills and Elephant Maths to support their numeracy. I will teach Netball on Tuesday afternoons and Carly Stacey will teach tag rugby and indoor athletics on a Thursday afternoon. Here’s to an enjoyable, fun filled and exciting Spring Term! Welcome back to a new school year! I hope you all had a wonderful summer with friends and family and were able to make the most of some lovely weather! I am so excited for this year with year 1 and 2 or The Squirrels as we have renamed our class and can’t wait to get started! Have a look below for the objectives we will be working towards across the curriculum. Our topic this half term is the Lighthouse Keepers Lunch followed by Step Back in Time! We will start by focusing on the light-hearted story to settle the children in to a new class and a new year at school. Through the story we will cover all of our curriculum subjects. In literacy we will be sequencing the story, reviewing the characters we have read about, writing instructions for making tasty sandwiches, writing questions for a lighthouse keeper and looking at completing some non-fiction writing about lighthouses. We will also look at the life of Grace Darling who lived in a lighthouse as part of our topic work. In maths we will be building on previous learning and learning new methods of the 4 operations; addition, subtraction, multiplication and division, within the context of our theme and in science we will look at light and the four seasons as well as weather. We will also be exploring lighthouses in our non-core subjects creating our own lighthouses and making a pulley system to transport the sandwiches from the cottage on the cliff to the lighthouse! Moving on to ‘Step back in Time’ we will be learning about Stone Age Man. We will study the text ‘How to Wash a Woolly Mammoth!’ and write our own instructions for washing an animal. We will also complete some diary entries with the children using their imaginations and their thoughts about films they may have watched such as The Crudes and Early Man to help provide information. In non-core subjects we will learn about hunter gatherers, the tools the people used as well as thinking about how they lived, cave dwellings such as those in Brittany in Northern France and cave paintings like those found in Lascaux in the Dordogne region of France. Home learning will be given on a Friday and due Thursday of the following week. The most effective way for children to learn their phonics and spellings is a little practice every day - even for just a few minutes. The spelling quiz will take place on a Friday morning. If there are any issues with this please let me know. Our Phonics lessons in school will help to support the children’s spelling and help to make them feel more confident when trying to spell new words but we would ask that you also work through the phonics packs we will send home to reinforce the sounds they learn in school. PE will be on Monday afternoons, so please ensure that your child has their kit in school. There will also be additional short daily exercise sessions so please ensure that your child has appropriate footwear in school every day for these. It is essential that children are ready to come to the carpet for the register at 9.15am prompt for a smooth start to the school day. Full school uniform must be worn at all times, including black shoes. Long hair must be tied back and no hair products please. Children will be offered fresh fruit at break time but can bring in an alternative healthy snack. Please also ensure that your child has a school water bottle in school every day. I’d also like to remind you to ensure that your child has a warm waterproof coat every day as the weather continues to be very changeable! We are very lucky to have Rosemary Jones as the class’s teaching assistant this year as the children moving up from Foundation Year are already familiar with her and this will help them to settle more quickly. She will be running Talk Boost, Phonics and reading interventions to support the children’s communication and language skills. Viv May will continue to take the children on Monday afternoons for PE. Here’s to an enjoyable, fun filled and exciting Autumn Term!